Click here to download and read the full CCHR report Psychiatric Hoax — The Subversion of Medicine — Report and recommendations on psychiatry‘s destructive impact on health care. The day has come when a good physician can be accused of being unethical for practicing ethical medicine. Today, a physician, specialist or otherwise, can be criticized, bullied and treated like a fringe dweller for practicing traditional, workable, diagnostic medicine. This is the coercive undercurrent that has indelibly characterized psychiatry since it first assumed custodial duties within asylums 200 years ago. In 40 years, “biological psychiatry” has yet to validate a single psychiatric diagnosis as a disease, or as anything neurological, biological, chemically imbalanced or genetic. While medicine has advanced on a scientific path to major discoveries and cures, psychiatry has never evolved scientifically and is no closer to understanding or curing mental problems. Psychiatry has the worst record of insurance fraud of all medical disciplines. Ten percent of mental health practitioners admit to sexually abusing their patients. One survey of more than 530 psychiatrists shows 25% had chosen the field of psychiatry because of their own psychiatric problems. 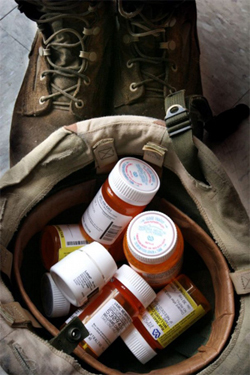 Psychiatrists have the highest suicide and drug abuse rate among physicians. Beyond the many valid medical reasons for non–psychiatric physicians to resist the mental health vision of psychiatrists, there is also the matter of preserving their professional image and reputation. 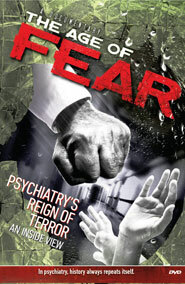 While medicine has nurtured an enviable record of achievements and general popular acceptance, the public still links psychiatry to snake pits, straitjackets, and ”One Flew Over the Cuckoo‘s Nest.” Psychiatry continues to foster that valid impression with its development of such brutal treatments as ECT, psychosurgery, the chemical straitjacket caused by antipsychotic drugs, and its long record of treatment failures.